With only 13 days left of 2015 it’s time to round up the year with the biggest digital marketing stories. We look at the year of Emojis, VR, AI, Facebook Filters, NASA, the Apple Watch, Google antics, the future of sports data, Star Wars, and the War on Ads. Collect enough holiday dinner table fodder to get you through the holiday season in one piece, while closing 2015 on top of all the digital goss. So, take a sip of something festive and catch up on this year’s top Weekly Wins. This year emojis have weaved their smiley faces into our linguistic hearts. Like so many social media trends, something that began as a frivolously fun little additive to your social media functions has evolved in to something with real world relevance. Emojis are more than fun: there are even do’s and don’t guides. They have taken on a new life by inspiring real debate about underlying social issues and gaining maturity and respectability by taking on practical applications. Emojis are even discussed as a new way to create passwords. It turns out that there are more potential emoticon sequences for passwords than there are numeric variations, making emoticon passes more difficult to crack. Marketers are getting in on the game too. Dominoes introduced the emoji delivery method and the world took note. With the official world emoji day being held on July 17th, #worldemojiday, and the news of the Sony Pictures Animation Emoji movie in the making, everything feels like it might be spiraling out of control. Not to mention Pepsi’s 35-character emoji keyboard. From the Chevy Emoji Academy to WWF’s cute Panda, we’re simply at a loss for words. There is no denying that Virtual Reality is a new art form and like so many, we are still at the beginning of creating that untainted true experience that transforms our senses into blushing believing fools. VR is being heavily invested in and films, journalism, sports and gaming are embracing it big time. 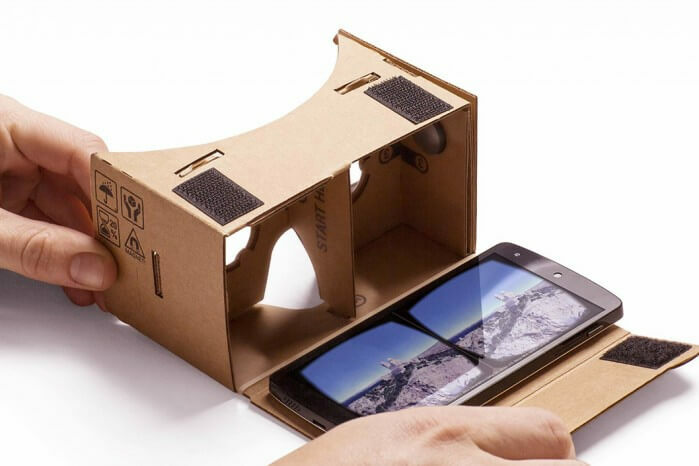 The New York Times announced their virtual reality project with Google. Changing the landscape in which we consume the news. A million subscribers received their cardboard VR viewers to watch NYT’s film called “The Displaced” and it’s about children uprooted by war. Jake Silverstein, the magazine’s editor, said, “The power of VR is that it gives the viewer a unique sense of empathic connection to people and events.” The film, ‘The Displaced’ is made with the help of VR company VRSE. Your must read on the film is, NYT VR: How to Experience a New Form of Storytelling From The Times. We finished the year on a VR high with Gear VR, according to The Verge, is the most portable headset ever made. But what really counts is that virtual reality is a product now and not a pipe dream that was setting half way between awesome and a nightmare. Now anybody with $100 can experience it. It is tough to say if AI is the most interesting thing that you can read about or if it’s the most terrifying. This year in the world of AI a robot went head to head with a seasoned newsman, Scott Horsly to craft a story based on given info about breakfast restaurant, Denny’s. He manhandled (poor word choice?) Horsly on the time front: two minutes to seven to complete the article. What the robo-writer created though was a bland and soulless piece that relayed the information in an appropriate manner, but that’s about it. That can change though, as the capacity for AI learning continues to grow. This computer can answer existential questions based on language that it’s learned from listening to the dialogue in old movies. But what happens if they only watch Nazi propaganda films? Nazi robots?!? Prepare yourself for the dawn of the robot revolution. Or better yet, ask your self if the person that you just met is a person at all. If Ex Machina has taught us anything, it’s that that you should be suspicious of everyone as a potential bot. Luckily, Elon Musk and Stephen Hawking are part of a group of super geniuses that are working to keep the uprising at bay. Also, the synthetic machines are still really bad at folding laundry. There’s still hope! AI is becoming the future of UX? It turns out that us users aren’t the experts on how we use anymore. The user-experience no longer needs us mere mortals to deliver the brand or product. If you think about it, really think about it, how many of our interactions with other human beings exist without a mobile or digital element? But, it’s when we want to avoid other humans that Artificial Intelligence really plays a role. Facebook jumped in and gave even the most passive supporter the option to show some digital support in the form of a profile pic filter that splashed a rainbow over your very own visage for Pride and Gay rights. Hatched in the brains of two interns, the rainbow filter garnered a million users in just an hour. All told 26 million people would roll with the filter in a show of solidarity for the equality cause. Then someone ruined all of the rosy feelings by pointing out that the whole rainbow filter thing may just be a Facebook thought experiment. Facebook vehemently denied that the filter was anything more than a super-nice thing to do. Someone is collecting data based on the filter though, that much is guaranteed, and as a social event the Facebook rainbow filter is something that will surely be referenced for years. The filter was also recently embraced with the French flag filter after the brutal Paris attacks, turning up the digital social voice on more time. NASA’s robotic New Horizons spacecraft after a nine-year mission and 3 billion miles performed a 31,000-mph drive-by science mission that lasted about 30 minutes. 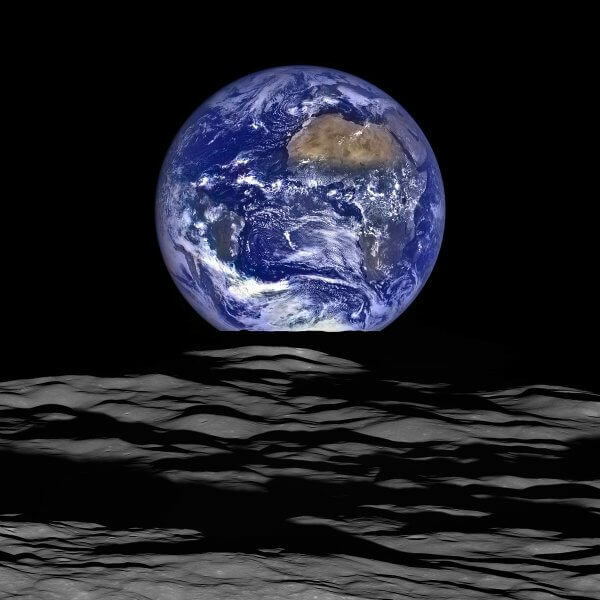 But we’ll be waiting a very long time for the high-resolution photos, measurements of atmosphere and temperature, and ultraviolet images to make its way back to planet Earth. They are estimating roughly 16 months – a pretty long time for today’s I-want-it-right-now culture. NASA has, however, given as a sneak peak of the best-ever views of Pluto and its moons Charon, Hydra, and Nix. Hydra, Pluto’s outermost known moons reveals itself at a distance of 645,00 km, and thanks to technology we will be getting a lot more intimate with all of Pluto’s angles, details and moons. How did a government entity, run by space nerds, quickly and very quietly win the Internet? From Instagram wins of 100,000 likes in just a few minutes, hitting the front page of Reddit and our social feeds that kept dishing up Pluto content, NASA became the star of the web. But, how did they do it? Their strategy appears to be a sweet marriage of ‘blind luck’ and ‘shrewd management’. They do have the added benefit of having content that truly transcends demographics and platforms. But getting it out there wasn’t always easy. In 2008 Veronica McGregor, head of social media at NASA, took the lead on Twitter and made NASA human again. Let’s be honest the sky was never truly their limit. Yes, it’s true, we’re talking about the Apple Watch, again. But, it’s a difficult one to bypass. The ‘Godfather’ brand of design has either failed or succeeded rather quietly. This year it was all the buzz, so we thought we’d deliver the honey. Some believed that with a decrease in sales by 90% since launch, its future didn’t look particularly promising. Especially with early adopters’ passion being worn down by, how do we say this, bad design. Has the Apple Watch, for its short-lived glory days plummeted down the wearable fashion ladder? On the flipside of the Apple coin there are still the enthusiasts, the believers and the users. Who believe that the drop was natural especially for a product that was driven by hype. We are being told to take a breath and wait. As it might mature into something more people want or need. Our Creative Director and Apple fanatic, Graham MacInnes, still loves his watch and stares at it adoringly throughout the day. It’s safe to say Apple’s Pedestal is steadfast for the moment at least. 7. Hey, where’d Google go? Everyone was surprised and confused when the big announcement was made about Google embarking on a massive restructuring effort. The news broke about the new umbrella company called Alphabet. No it’s not a rebranding. It’s more of a cleaning house exercise. This doesn’t mean Google will disappear. The company was founded on Internet search and has grown expansively in its eleven years. Concern from Wall Street is supposedly what drove the decision to restructure. Investors were getting anxious that Google had become distracted from its core business and the solution to separate these was the answer. The solution was to run the moneymaking businesses independently from the moonshot projects such as self-driving cars and pills to detect cancer. 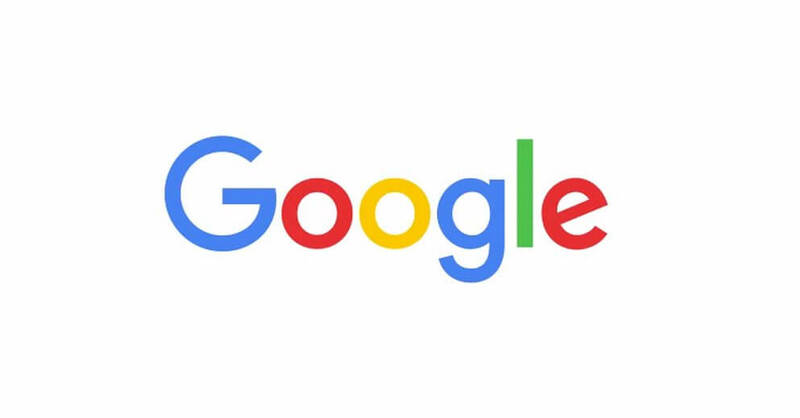 They also got a little prettier with their new logo is its biggest update in 16 years. It has been designed for the future of tiny screens and for any context. Google has integrated into our lives without us being fully aware. It works around us and stays out of our way. It helps us find stuff, store files, share them, shows us our direction, sells phones, laptops and so much, much more. Our daily search buddy is looking new and is looking good. The NFL has embedded radio frequency chips in every player’s shoulder pads, a rather exciting move for the die-hard fan. It means placing the audience, regardless of distance, in the know-how. They will know just how fast and far each player can run. The NFL are working with Zebra Technologies to establish this inside view, using it to measure the fleet, merchandise and other assets. Walking in somebody else’s shoes has just gotten a whole lot easier. “It’s a new way to quantify and analyze the game, and we think it can really revolutionize the N.F.L. ecosystem.” – Vishal Shah, the league’s vice president of media strategy and business development. Did you know the second most spoken language in the Star Wars universe is Huttese, due to popularity among criminals? The latest Star Wars trailer for ‘The Force Awakens’ almost broke the Internet this year – piling up over 40 million views so far. From film pictures to art, Star Wars has rocked, shaken and moved the digital sphere and that’s only the trailer. It has recently been released and the digital space is still eating it up. Jeffrey Zeldman wrote a fascinating article on Apple’s move to allow ad blocking and it’s implications on the future of the web experience. In the Silicon Valley superpower war, in case you were wondering, digital marketers and publishers of content are right in the crossfire. Zeldman talks about the impact on UX and even provides Nilay Patels take on the move. Meanwhile, the advertising industry position has been rolled out in Advertising Age from Randall Rothenberg, touting, the user experience too. And just to round this out, Anil Dash, a publisher, documents how we all pass the buck when it comes to smart communications and the topic of ads and blocking them. In an article in Advertising Age, Could Ad Blocking Really Dampen Democracy they discuss the impact, if any, in politics. According to this article a Tech Crunch article suggested that this ad-blocking move will distance the consumer from the democratic process. Ad Age argues that the ‘the bigger concern may be how long web publishers that cover elections can thrive if their readers continue to adopt ad blockers and tamp down the flow of revenue.’ One thing we can all agree on is that this is a fight where everybody stands to lose a little something. The writer Joe Marchese, discusses the beautiful potential that ad blocking could bring to the online world and advertising. He suggests creating a “whitelist” of quality publishers and to disable ad blockers for those. He finishes the article with a challenge to create what consumers will turn their ad blockers off for. Have a wonderful holiday, eat well, sleep well, and whatever you do avoid politics, religion, and the blue vs. white dress fiasco. We bid you farewell until next year. Let’s see what 2016 will deliver.